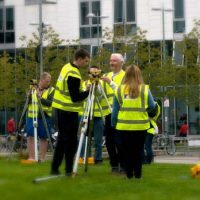 The Civil Engineering team welcomed Sabine MacLean - Membership Development Officer for the Institution of Civil Engineers - for a guest lecture at Springburn campus this week. She spoke to the Year 1 HN students about the benefits of becoming students members of ICE, and about professional development in general. Another week, another wealth of information to share with you. From foreign trips and award winning students to original Art Sales, we have it all. Star Apprentice John Wins The Triple!! 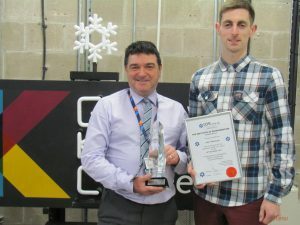 John Thompson, 4th year Refrigeration Apprentice at Glasgow Kelvin College, has certainly been making a name for himself this year and has just carried off the Scottish Institute of Refrigeration Apprentice of the Year Award! This is his third Award this year and a hugely well-deserved recognition of John’s skills, talent and determination. His success also owes much to the skills of the Building Engineering Services teaching staff at Glasgow Kelvin and to the confidence and commitment of his employer, Turner (Dundee) Ltd.
A time-served plasterer, John retrained in refrigeration and hasn’t looked back since. His obvious skills and talents have opened other doors for him and he has been asked to attend future events to present awards. 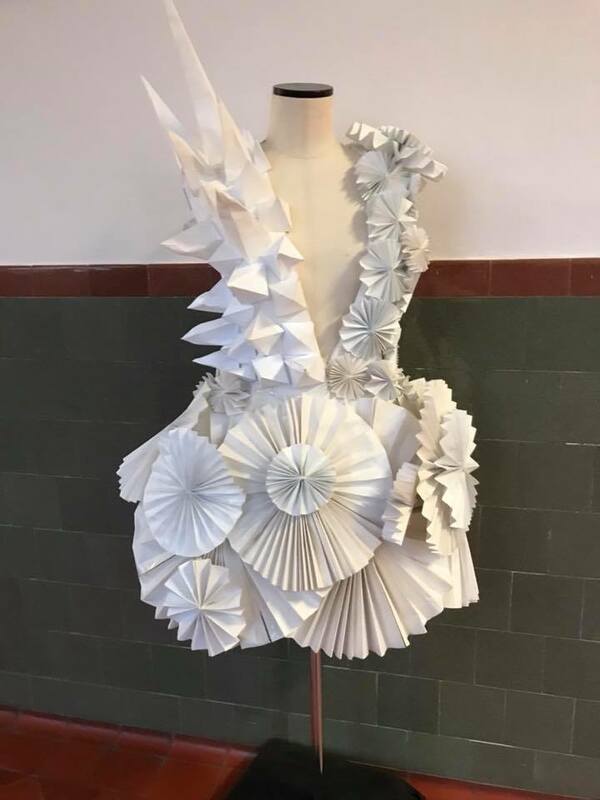 Glasgow Kelvin Fashion students are currently on an Eramus exchange trip to Germany. On the 20th of November students and staff arrived safe and well in Nurnberg. Their home for the time away is a fantastic hostel in the old stables of the medieval castle! The day after their arrival they had a pleasant walk to Modeschulen Nurnberg college, where they had a tour of facilities, took part in a come together talk and viewed some of the fantastic work on display. The students have been enjoying the experience so far, taking in sightseeing, eating out and learning from their German counterparts. As well as this, Barbara and family kindly hosted dinner at her lovely home in Nuremberg and making them feel so welcome. Staff and students enjoyed an evening of home-made pizza and Glasgow banter! The tram ride back to castle was FAB. 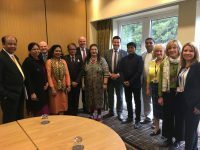 The College was delighted to welcome a delegation of education professionals from colleges and universities in Kerala, southern India who are in the UK on a fact-finding mission on our learning sectors in Scotland and England. 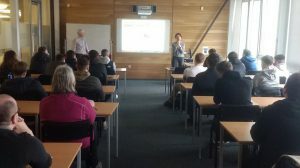 We provided an introduction to Glasgow Kelvin, followed by a presentation on Building Engineering Services & Construction from Faculty Head, Anne Porter. This was finished off by an interesting tour of our workshop facilities in Springburn. 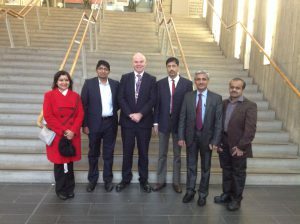 We were privileged earlier this week to host the BESA Scotland conference in the 2nd floor Boardroom at Springburn. 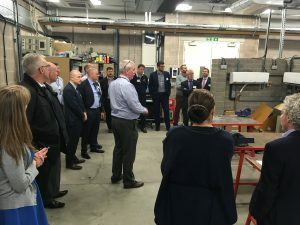 Representatives from across the Building Engineering Services sector came along and were very impressed by the facilities and the presentation delivered expertly by teaching staff in the busy workshops later in the day. The GKC Civil Engineering team have arranged a series of site visits to Robertson Construction’s site in Bishopbriggs. 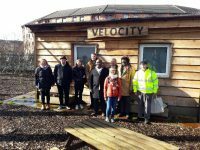 The project involves the construction of a Community Hub and follows on from last year Sports Hub project, which the civils team were also involved with. 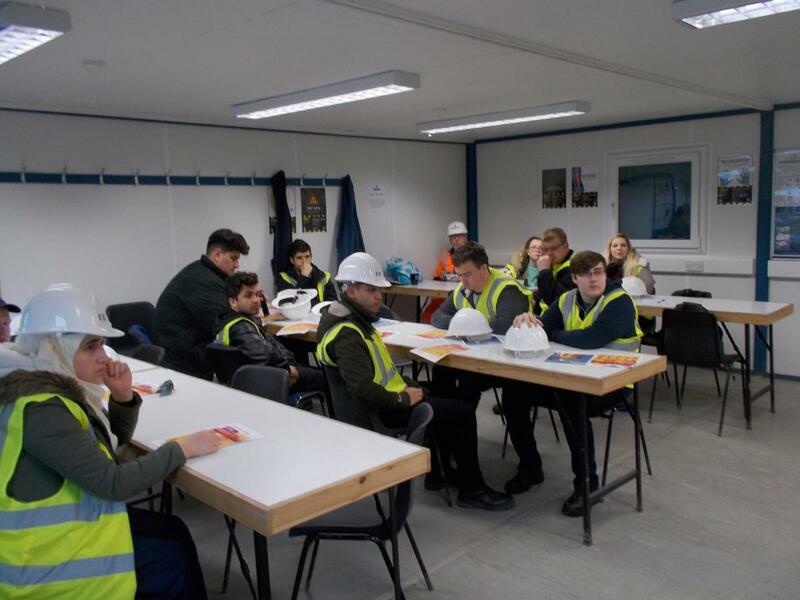 All 4 of the Full Time HND/NC Year 1 classes have had a chance to visit the site and observe in practice the subjects they have been learning about in class. The civils team are very grateful to Robertson Construction for giving up time to continue this working relationship. There are more visits arranged in the future. 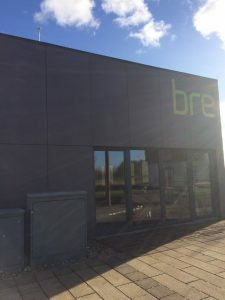 The GKC Civil Engineering team took the Day Release Year2 NC class to BRE Innovation Park in Motherwell recently, as part of the ‘Sustainability In Construction’ topic. 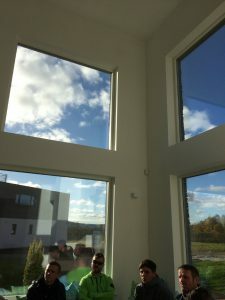 The Innovation Park at Ravenscraig is a demonstration development showcasing how sustainable housing might look in the future. The students (and staff!) found this to be a very useful and informative visit. 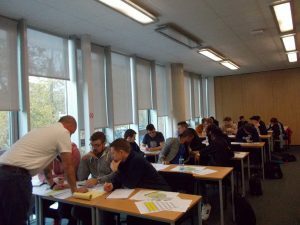 Owen Cherrie of Robertson Construction kindly came in as a guest lecturer to deliver a session about Site Management to our Full Time HND Year 1 students last week. We gathered the three classes together in Springburn’s biggest classroom and asked them to consider management issues based on real life case studies/scenarios. Thanks again to Robertson Construction for their support in making this happen. Donna Surgeoner, Membership Manager of the Institution of Civil Engineers (ICE) was at Springburn campus again last week, visiting the Civil Engineering Graduate Level Apprentice (GLA) students. she discussed membership, scholarships and professional development with the GLA students, and even found time to meet our Day Release NC Year 1 students too! 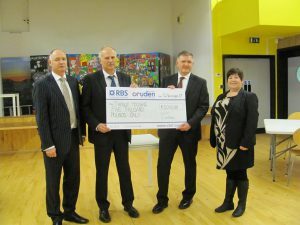 This week Cruden Building handed over a cheque, for £5000, which will now be used to fund Thenue Housing’s award-winning Learning Works initiative. Working in partnership with Glasgow Kelvin College in the trail-blazing project, the free course has helped hundreds of jobless people find a pathway to success with a job or further learning opportunities. The donation from Cruden will help underpin the future of Learning Works and contribute to other learning initiatives from Thenue. 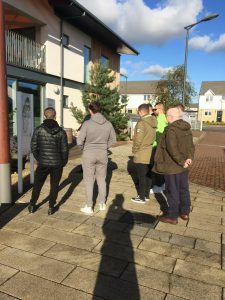 Learning Works is aimed at unemployed people in the area of Glasgow served by the regeneration agency Clyde Gateway and offers learning across a range of specialisms. 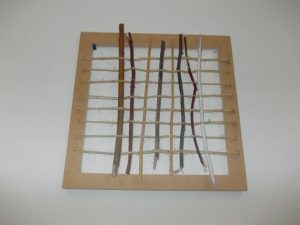 These include computer skills, the importance of goal setting, personal development as well as the opportunity to brush up on literacy and numeracy. Do You Want To Be Involved In Organising An Amazing Charity Cycle In Millport? 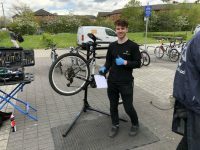 The students association and the campus cycling officer are planning a charity cycle around the Isle of Cumbrae. The 10.25 mile circumference provides breath taking scenery from quiet winding roads to the more hilly inner route providing the more adventurous with stunning panoramas over the Firth. At the top of the island you will be 417 feet above the sea and the 360 degree view offers an excellent reward for the effort. 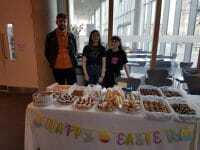 Shaun McLaughlin believes that this is a great chance to create a bond not as students and staff but as a group of people from all ages and all walks of life and just have a fantastic time while helping to raise money for the British Heart foundation. Please help us make this trip a huge success and possibly make this a reoccurring event for new and future students and staff to enjoy. Please contact Shaun McLaughlin if you would you like to participate in the organising of this event. Hand crafted artworks, made from recyclable material by the Personal Achievement Award students, will be on sale on Thursday the 7th of December 2017. They will be available on their Christmas stall at the reception in our Springburn Campus. Have a great weekend everyone and don’t forget to join us again next Friday for more updates and news!